We have two charming cottages available to rent – Mimosa Cottage with 3 bedrooms, accommodating up to 6 people, and Mimosa Lodge with 5 bedrooms, acommodating up to 10 people. Set in 2.5 acres of landscaped gardens, each cottage has its own private garden area, plus communal areas including the large grassed paddock with a Boules pitch and 4 metre splash pool (in the summer months) as well as the Games room with various games including a Table tennis and Darts board. Our aim is to provide you with a holiday to remember. Whether you want to relax, unwind and do nothing, or you’d prefer to be active and explore what the region has to offer, we will do our best to accommodate your needs. 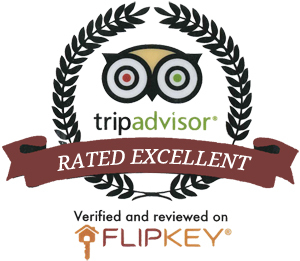 We are absolutely committed to you getting the most out of your experince, we have even won awards on trip advisor and are Super Hosts on Airbnb! Our wish is that our hideaway and service is so exceptional every visitor leaves with beautiful memories of a peaceful, perfect holiday. 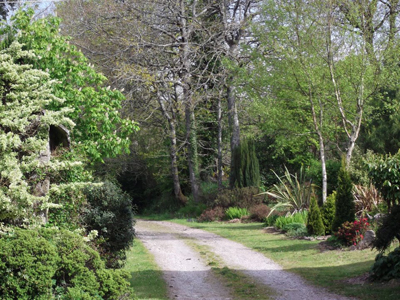 Fully equipped and oozing Breton character, many people comment that our cottages are a home from home and we pride ourselves in careful consideration of your needs. Both the Cottages provide the ideal base for you to enjoy this truly beautiful part of France. We have plenty of open spaces for children to play, space for rounders, cricket, football, cartwheels and as much fun as your imagination will allow! You are welcome to bring pets. There are secluded areas to find peace and relaxation, with plenty of places to walk from your door step, beautiful woods, quiet country lanes and hamlets to explore. However if you want to explore further afield there is plenty of activity available all around. We are situated in the tiny hamlet of Kervenez in central Brittany on the borders of Cote D’Armor, Finistere and Morbihan. Near to the Black Mountains (Montagnes Noir), the surrounding countryside is stunning and we are blessed with wonderful views. The famous Southern coastal beaches are only 30-40 minutes away and are some of the best in Brittany, almost all boasting the Blue Flag awarded by the EC. For those who wish to go walking, fishing, golfing, canoeing, cycling, or horse riding, we are ideally situated to enjoy them all. We are only 5 minutes from our nearest town of Langonnet, which has all the local amenities you will need whilst on holiday; a well stocked Grocery Shop with fresh produce (and a good wine section),a Butcher, Pharmacy, Post Office, Bank, Bakers and restaurant – there is even a Florists and Hairdressers! 10 minutes drive away are the larger towns of Le Faouet and Gourin, which offer weekly markets and a larger array of shops, supermarkets and restaurants. Come and create your own beautful memories… We hope to welcome you soon.